^ The average commercial electricity rate in Braintree, MA is 14.4¢/kWh. ^ The average residential electricity rate in Braintree, MA is 13.18¢/kWh. ^ The average industrial electricity rate in Braintree, MA is 13.19¢/kWh. The average commercial electricity rate in Braintree is 14.4¢/kWh. This average (commercial) electricity rate in Braintree is 4.05% greater than the Massachusetts average rate of 13.84¢/kWh. The average (commercial) electricity rate in Braintree is 42.72% greater than the national average rate of 10.09¢/kWh. Commercial rates in the U.S. range from 6.86¢/kWh to 34.88¢/kWh. The average residential electricity rate in Braintree is 13.18¢/kWh. This average (residential) electricity rate in Braintree is 11.6% less than the Massachusetts average rate of 14.91¢/kWh. The average (residential) electricity rate in Braintree is 10.94% greater than the national average rate of 11.88¢/kWh. Residential rates in the U.S. range from 8.37¢/kWh to 37.34¢/kWh. The average industrial electricity rate in Braintree is 13.19¢/kWh. This average (industrial) electricity rate in Braintree is 4.93% greater than the Massachusetts average rate of 12.57¢/kWh. The average (industrial) electricity rate in Braintree is 97.75% greater than the national average rate of 6.67¢/kWh. Industrial rates in the U.S. range from 4.13¢/kWh to 30.82¢/kWh. The average commercial electricity rate in Massachusetts is 13.84¢/kWh, which ranks 6th in the nation and is 37.17% greater than the national average rate of 10.09¢/kWh. Commercial electricity consumption in Massachusetts averages 3,794 kWh/month, which ranks 48th in the nation and is 39.18% less than the national average of 6,238 kWh/month. The average monthly commercial electricity bill in Massachusetts is $525, which ranks 29th in the nation and is 16.53% less than the national average of $629. The average residential electricity rate in Massachusetts is 14.91¢/kWh, which ranks 9th in the nation and is 25.51% greater than the national average rate of 11.88¢/kWh. Residential electricity consumption in Massachusetts averages 627 kWh/month, which ranks 44th in the nation and is 30.56% less than the national average of 903 kWh/month. The average monthly residential electricity bill in Massachusetts is $94, which ranks 37th in the nation and is 12.15% less than the national average of $107 per month. 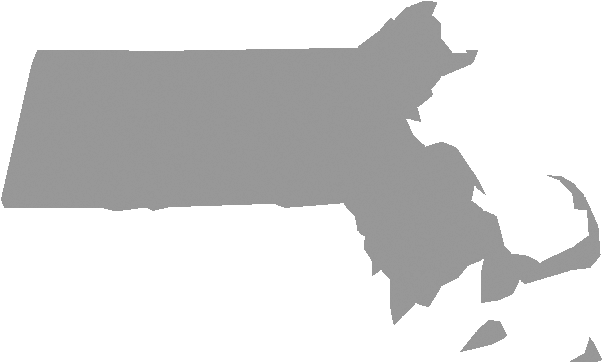 The average industrial electricity rate in Massachusetts is 12.57¢/kWh, which ranks 4th in the nation and is 88.46% greater than the national average rate of 6.67¢/kWh. Industrial electricity consumption in Massachusetts averages 66,711 kWh/month, which ranks 39th in the nation and is 40.52% less than the national average of 112,158 kWh/month. The average monthly industrial electricity bill in Massachusetts is $8,383, which ranks 26th in the nation and is 12.03% greater than the national average of $7,483. Electric bills: The average residential electricity bill in Massachusetts is about $94/month, ranking 37th in the U.S. and 12.15% less than the national average of $107. Braintree is a city located in Norfolk County in the state of Massachusetts, and has a population of approximately 35,744. For more information about Braintree electricity, or for additional resources regarding electricity & utilities in your state, visit the Energy Information Administration.